Elana, a member of an interstellar civilization on a mission to a medieval planet, becomes the key to a dangerous plan to turn back an invasion. How can she help the Andrecians, who still believe in magic and superstition, without revealing her own alien powers? At the same time, Georyn, the son of an Andrecian woodcutter, knows only that there is a dragon in the enchanted forest, and he must defeat it. He sees Elana as the Enchantress from the Stars who has come to test him, to prove he is worthy. 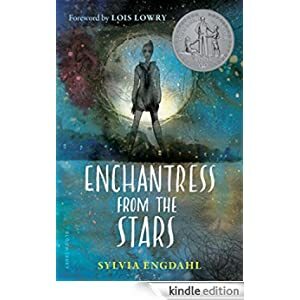 One of the few science fiction books to win a Newbery Honor, this novel continues to enthrall readers of ages 8-12. Buy it today for only 99 cents.